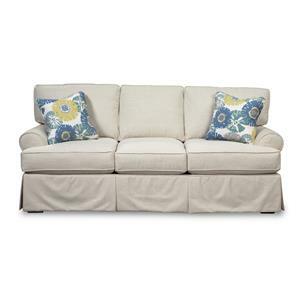 Sofas with slipcovers are coveted for their relaxed and cozy look, but the maintenance involved in owning a slipcovered sofa isn't for everybody. 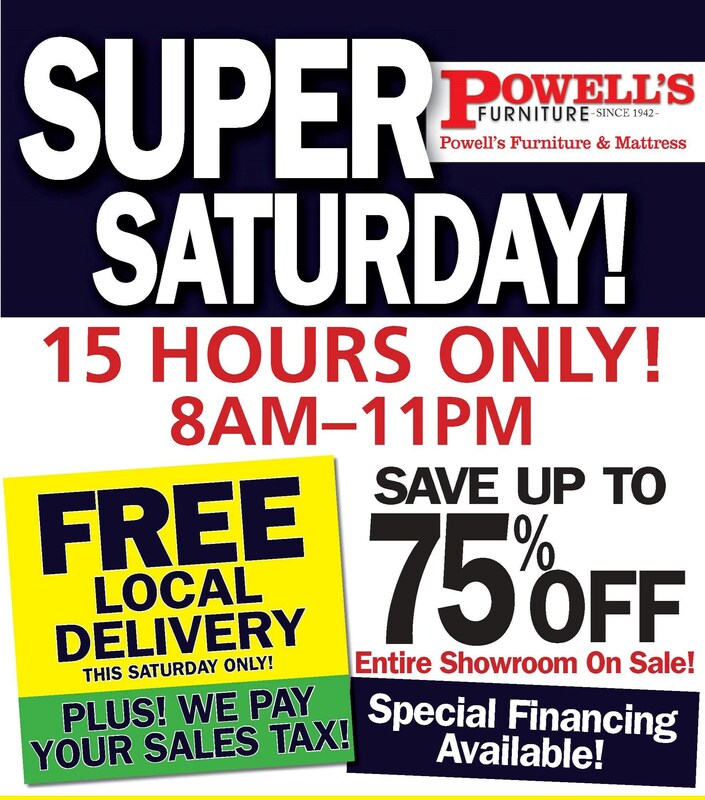 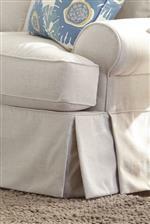 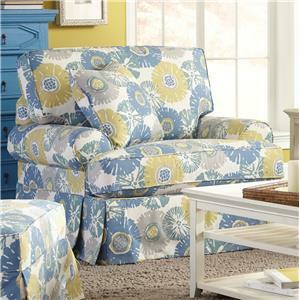 This collection is an excellent alternative to slipcover upholstery without the extra hassle of adjusting the slipcover's fit and the potential for wrinkling. 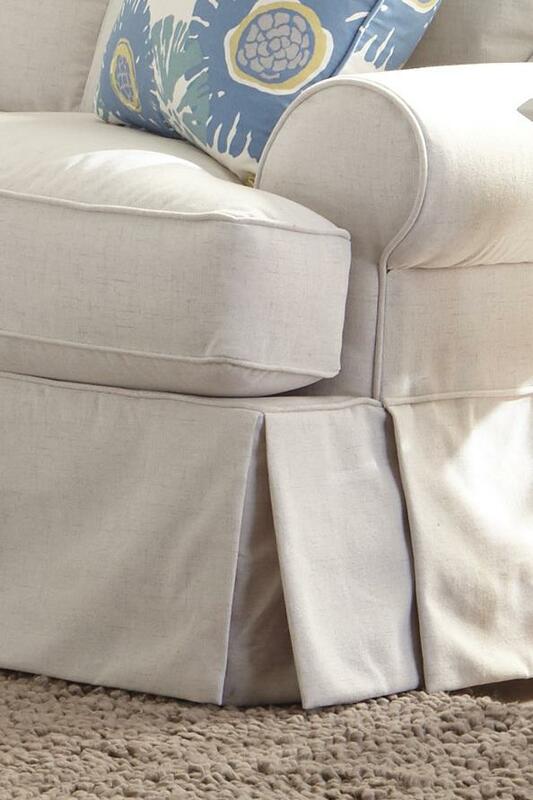 For a country cottage or seaside casual look, this collection's soft, flowing skirts and classically tailored lines form a perfect living room centerpiece. 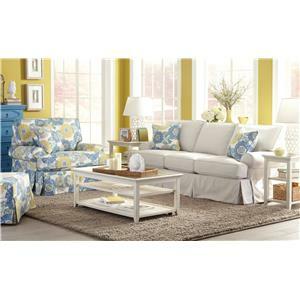 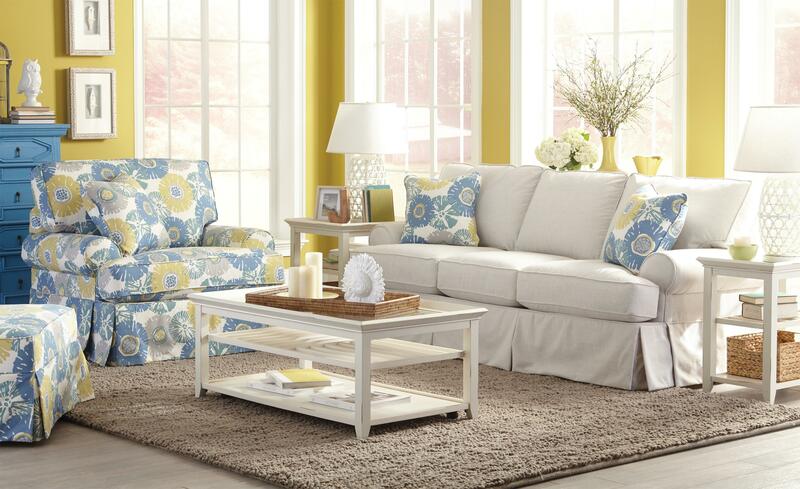 This beautifully breezy look is also available as a sleeper sofa for those who are constantly entertaining guests.